Background/Purpose: Inflammatory arthritis, including rheumatoid arthritis, is characterized by neutrophil recruitment into the diseased joint. 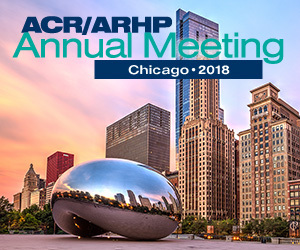 Our previous studies and the work of others have demonstrated important roles for several neutrophil chemoattractant receptors, including the leukotriene B4 receptor, BLT1, the chemokine receptors CCR1 and CXCR2, and the complement receptor C5aR in a murine model of immune-complex mediated arthritis. However, the precise role for each chemoattractant in the process of neutrophil recruitment into the inflamed joint remains unclear. Methods: Multiphoton intravital microscopy (MP-IVM) was used to study the migratory behavior of wild-type and chemoattractant receptor-deficient leukocytes in the joint in the K/BxN serum transfer model of inflammatory arthritis. LysM-GFP mice in which endogenous neutrophils and macrophages express GFP were also used in these studies. Following the transfer of arthritogenic serum, MP-IVM was performed to analyze neutrophil migratory behavior in the joint on day 1 (early phase of arthritis) and day 7 (established arthritis). We also analyzed the ability of WT and chemoattractant receptor-deficient neutrophils to enter the joint in short term adoptive transfer homing assays on days 1 and 7 following arthritogenic serum transfer using MP-IVM. Results: Analysis of neutrophil migratory behavior revealed that the number of neutrophils adhering to blood vessels of the joint and subsequently infiltrating into the inflamed joint was markedly increased on day 7 following arthritogenic serum transfer in WT LysM-GFP mice, compared to day 1 following serum transfer and compared to control untreated WT LysM-GFP mice. In short term homing assays, both WT and BLT1-deficient neutrophils rolled along the joint vessels of WT and BLT1-deficient mice and on day 1 following serum transfer but did not adhere or enter the joint. In contrast, adoptive transfer of WT and BLT1-deficient neutrophils on day 7 following serum transfer into WT mice revealed that the number of BLT1-deficient neutrophils that adhered to and subsequently migrated into the joint was dramatically reduced compared to WT neutrophils. Furthermore, neither WT nor BLT1-deficient neutrophils entered the joints of BLT1-deficent host mice on days 1 or 7 following serum transfer. Conclusion: BLT1 plays an important role in both the adhesion and transmigration of neutrophil across blood vesseles of the joint during immune complex induced arthritis.